One of my favorite salads to make, it's a copycat recipe of Olive Garden's Garden Salad. You can add pretty much any veggies you want, but I'll post here the original recipe. It's great with these baby peppers we usually have in the fridge, and pepperoncini's are also good in the salad. 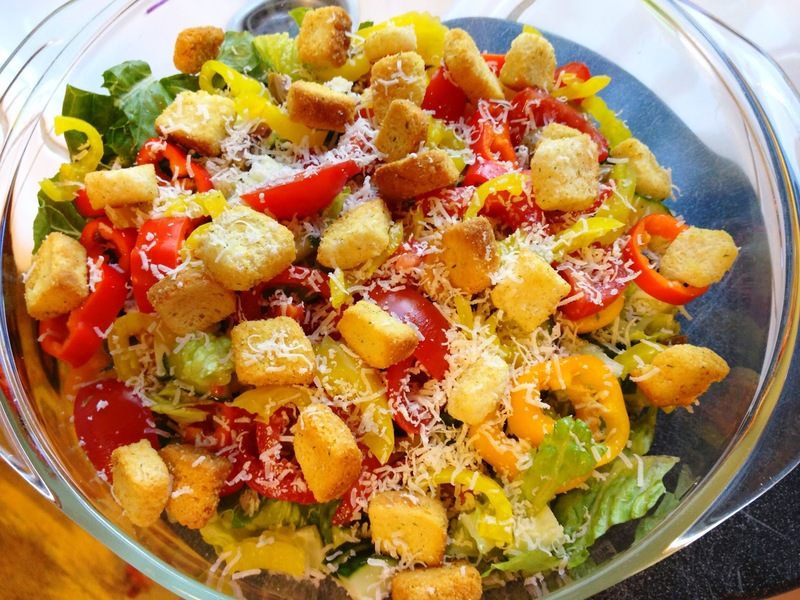 The dressing is easy to make, you can just mix all the ingredients in a blender.